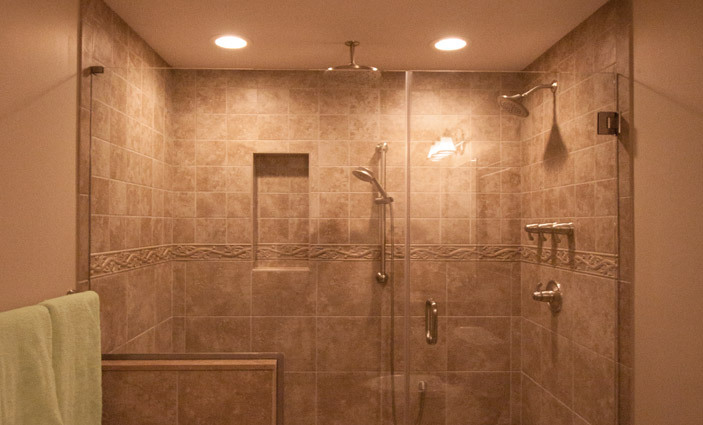 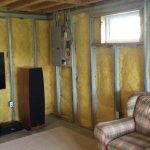 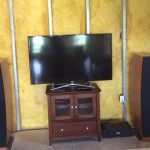 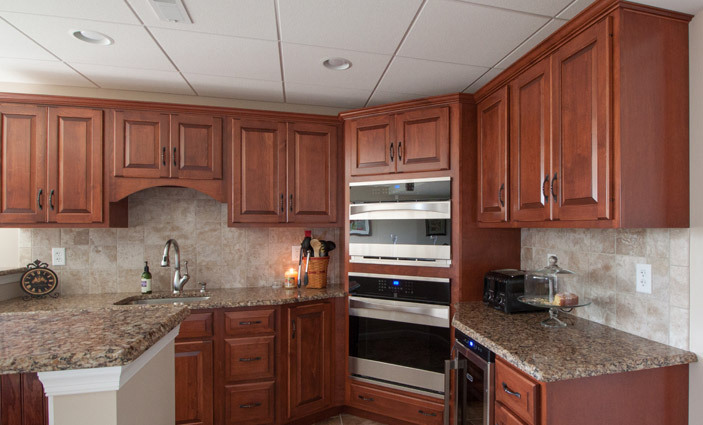 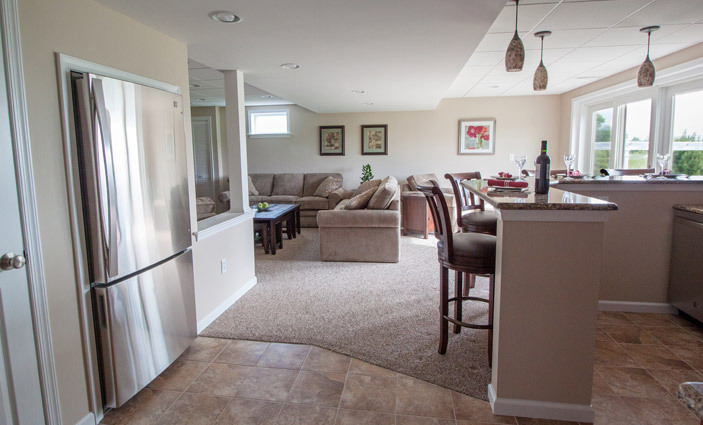 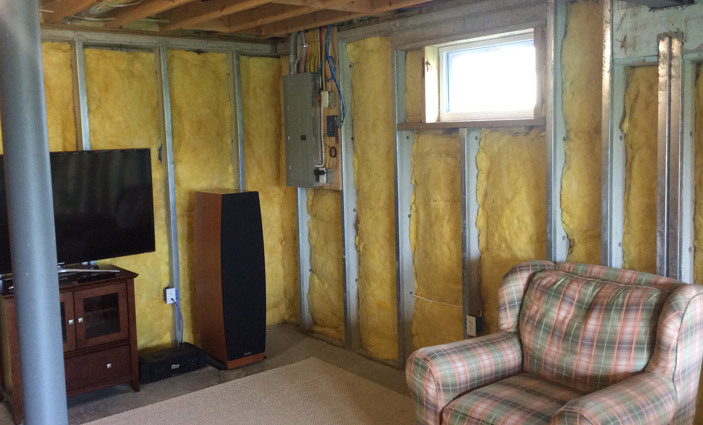 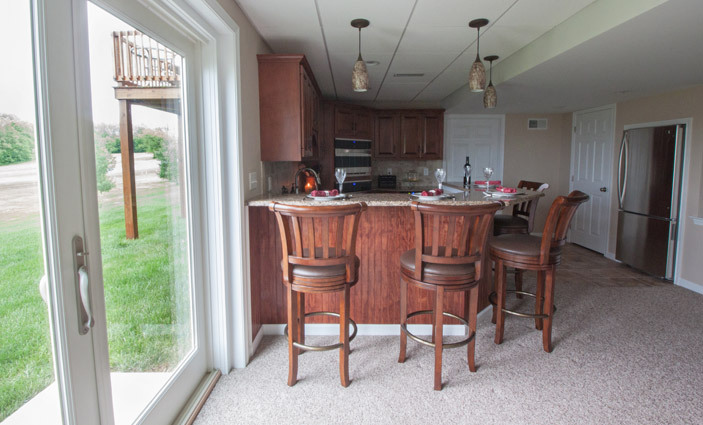 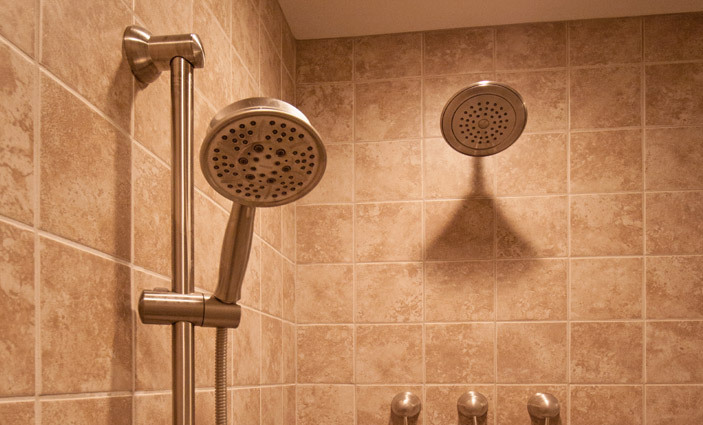 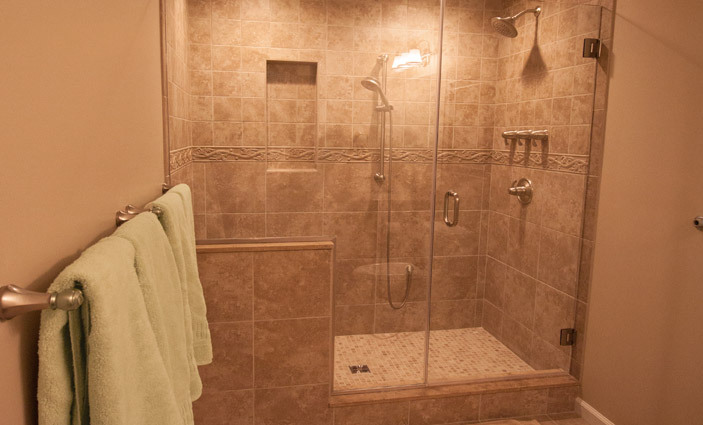 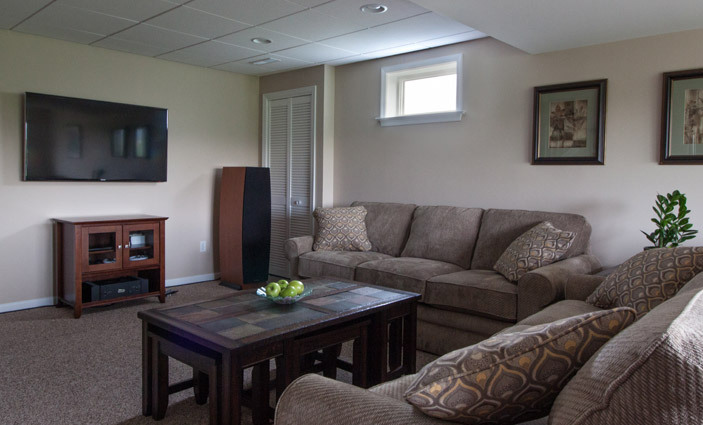 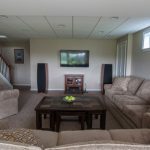 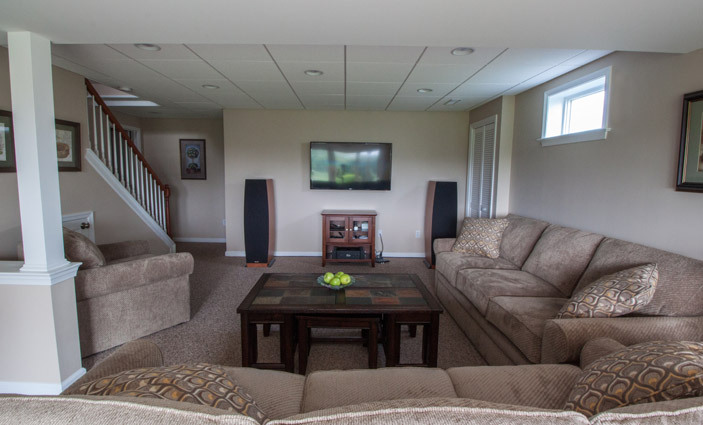 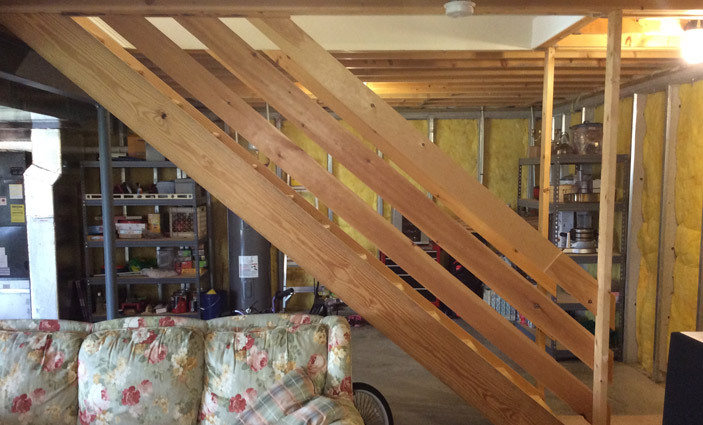 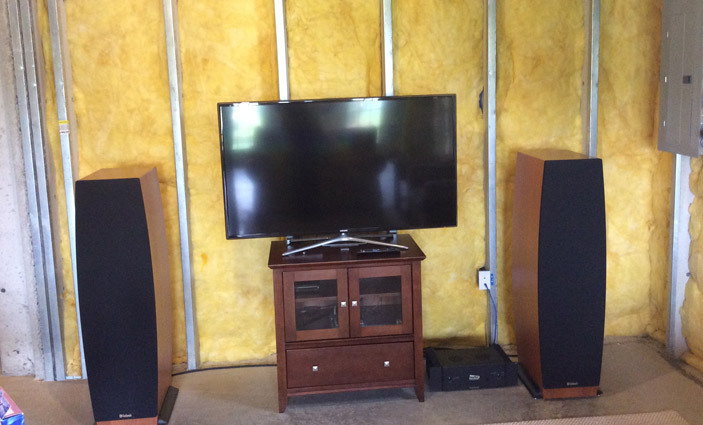 This basement remodeling project was completed at the Kujawski home in Ephrata, PA. 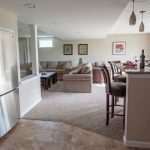 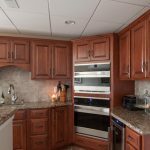 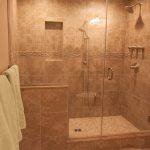 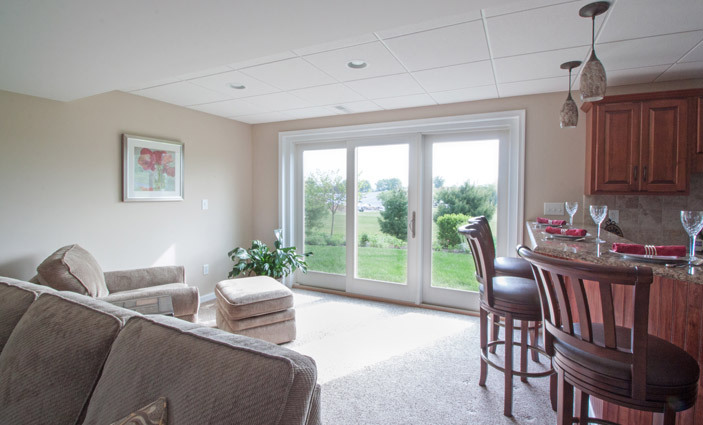 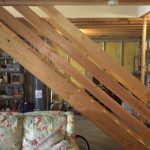 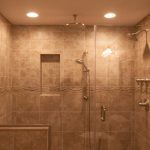 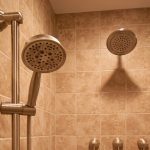 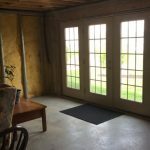 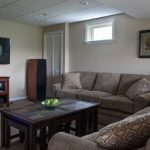 The renovation included a beautifully finished “daylight” basement including a new kitchen, full bathroom, and a new Marvin gliding patio door. 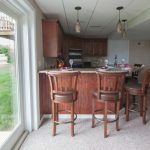 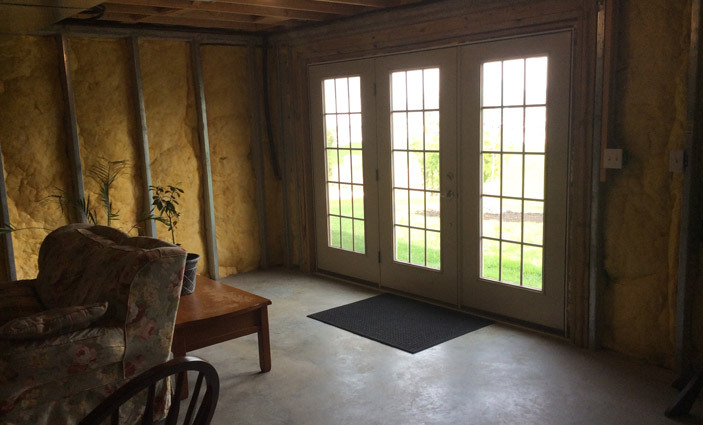 Please see our before and after pictures.